The Cyprus dispute should be resolved without pressure from outside as all attempts to impose ready-made “recipes” are counterproductive, President Dmitry Medvedev has said. The solution to the years-long dispute of the ethnically divided island should suit both Greek and Turkish interests, the Russian head of state said in his address to Cypriots, published in the Phileleftheros newspaper prior to his visit to the republic. Medvedev arrived in Nicosia on Thursday to meet with his Cypriot counterpart President Demetris Christofias and discuss co-operation between the two states in business and political matters as well. One of the issues for Cyprus – the conflict between ethnic Greeks and the Turks – was also raised at the meeting. Medvedev assured Cypriots that the development of relations between Moscow and Ankara will not affect Russian-Cypriot ties. At a joint media conference with Christofias, he was asked what the consequences of closer relations between Russia and Turkey could be. President Medvedev also said that Moscow will keep supporting Cyprus in its attempts to settle the dispute once and for all. “We want this settlement to be all-embracing and meet the interests of both the Greeks and the Turks. We have been devoted to the idea that the Cyprus problem cannot be resolved by pressure from outside, but only with the agreement of the parties themselves. It seems obvious to us that attempts to impose ready-made ‘recipes’ or artificial timetables of inter-communal talks, and especially setting deadlines for their completion or implementing external arbitration, are counterproductive,” the Russian leader stated. According to the president, Moscow and Nicosia share similar stances on key issues of international policy. “Both states stand for a democratic and multi-polar world, respect for the principles of international law, sovereignty and taking into account legal interests of all countries,” he pointed out. Medvedev also thanked the Cypriot leadership for their positive reaction to Russia’s European Security treaty initiative. Moscow has long been pushing for new security architecture in Europe. 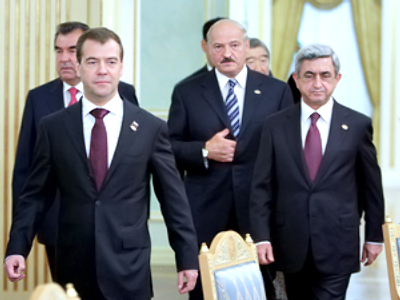 Almost a year ago, a draft for a new security pact was sent to foreign leaders and international organizations. The treaty, for instance, suggests that parties do not undertake, support or participate in actions that can jeopardize the security of another party to the treaty. The sides also agree not to allow the use of its territory with the purpose of attacking their partners. However, the European partners so far have not been too keen on supporting Russia’s proposal and the idea has not moved forward much further than discussions of a theoretical matter. While on a visit to Cyprus, President Medvedev yet again raised the issue stating that existing European organizations are not efficient enough in solving conflicts. “I believe our initiative could help to solve a whole range of problems which currently exist in Europe,” he told the media conference, reports Itar-Tass. “Europe consists of very different states and from time to time problems and conflicts arise, including such painful ones as the Cyprus dispute,” Medvedev said. “Which of the existing European institutions helps to settle these issues?” he wondered, adding while everyone seems to be trying to do so, there is still no result. The explanation for that, he said, is the fact that procedures that current international agreements and European institutions suggest are neither efficient nor obliging. Security in Europe is “fragmented” as some countries relate their security to NATO, others to the EU or their memberships of other blocs. Therefore, a new agreement can become a solution to the problem and it could only be “a comprehensive agreement that includes all the European states and alliances, as well as all the international European institutions functioning on our continent,” the president maintained. Coinciding with the visit, a Russian-Cypriot business forum is being held on Thursday in the republic’s capital of Nicosia. The gathering is set “to define priorities for our co-operation in trade and investment spheres,” the Russian leader said. “And our goals here are similar as well. It is partnership for modernization and development of hi-tech production. I believe such meetings will become regular. It cannot be ruled out that in the future they will attract business representatives from other countries,” Medvedev noted. The main focus of the trip is to give a further boost to already flourishing business co-operation between the two states. More than a dozen of agreements in various fields including energy efficiency, trade, education and tourism have been signed. 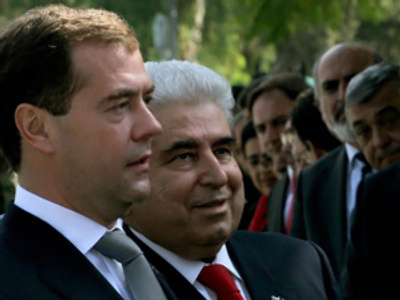 Medvedev’s first-ever visit to the island was dubbed “historic” by his Cypriot counterpart Demetris Christofias. “It is a historic event that is related to the longstanding common tradition of the two peoples, which will be reaffirmed once again and to the very close political, economic and cultural relations between the two countries,” he said on Wednesday, cited on his official website. “It will mean a lot for the Cyprus problem and for the entity of the Republic of Cyprus, which will be repeatedly underlined and of course for the development of the multilateral relations between our two countries,” Christofias added. 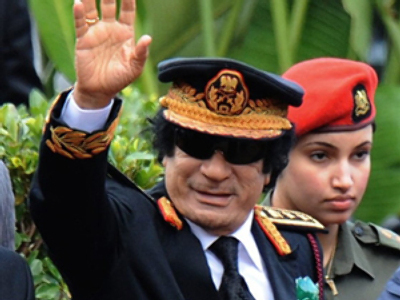 The island has remained split between two nations for over three decades. On July 20, 1974, Turkey launched an invasion with 40,000 troops against Cyprus. The invasion was presented as a counter action to the coup that was staged in Cyprus by the military junta, then in power in Athens, for the overthrow of President Makarios. Since 1974, 37 per cent of the island has been under Turkish control. The Turkish Republic of Northern Cyprus (TRNC) has not been recognized internationally.